Furniture is to homes as attire is to humans. A home is wrapped with the warmth of love, the comfort of compassion, confidence of security and finesse of furniture. It is said, only thoughts can fill a room with something more than furniture. The way one decorates and arranges this essential ingredient of home, reveals the true colour of the mind, culture, tradition, and taste. Furniture, undoubtedly portrays a cultural landscape on the canvas of the room. Furniture, though is a non-living thing, but its mere presence is loquacious enough. So, choosing the right furniture for your home and maintaining the same need some skills and knowledge. With a plethora of range to choose from, it often becomes a tiresome and baffling task to find the right kind of furniture. However, following some simple tips can make it tad easier. Try to make the environment look inviting and comfortable. The preference should be your liking; make a list of your favourite colours and pattern. The décor of your home speaks of your taste, so, be careful and, try to avoid experimentation with mixing and matching unless your are a pro. Think about you need and lifestyle. If you’ve toddlers at home, a contemporary range of furniture can be disastrous. If you have a small living room, an expensive leather sofa set will definitely overkill the ambience and make the room look even smaller. Set a budget according to your limit and need. Look out for the best values in your price range. 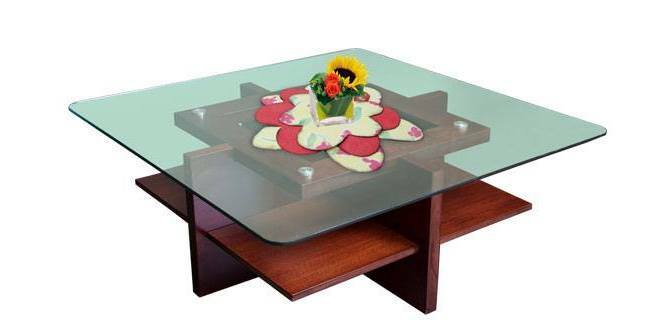 Keep patience and try to garner ideas from online shopping sites dealing exclusively with furniture. Colour combination plays an ultimate role. It can either make or break your effort. Bold colours go well with soft, pastel shaded walls. Now, you must be thinking that pondering all these points while prioritising one’s basic needs, must be a difficult task. I agree with you. Choosing the appropriate furniture is not like falling in love at first sight. When you’re investing in it, you pretty much expect it to last for years. Simultaneously, style, built, and, distinct details must also be kept in mind. Here arises the need of a pro who can seal the deal for you. Buying furniture online may sound a new concept, but it’s much easier than hopping around different shops collecting pieces of your choice. You can have a look at hundreds of designs with just a few clicks. Durian is a trusted name in the world of furniture who are striving since 1981 to make every house a home. They have something for everyone. Be it comfortable lounge chairs or a stunning centrepiece enhancing the beauty of your room, Durian has it all #JustAClickAway. Their products are built to unite comfort and luxury at an affordable price. They follow the ”make in India” policy and as an Indian, I support this endeavour. Here’s another vintage piece from Durian. Elegance, beauty, and comfort, a perfect combination! It’s a fact without any exception that every person tries to make his home a unique one. And, as furniture and furnishings are indispensable parts of it, we always want our personal style and taste to be reflected in each and every piece of furniture we choose. With a wide range of products to cater different moods and culture, you’ll surely find the perfect piece at Durian. With perfection and happiness #JustAClickAway, let’s discover Durian to redefine our experience with furniture. I love Durian…and online presence will make it easy because its a pain getting to showrooms in metro areas. Thanks for sharing this, Maniparna. Good to know that Durian is online! Hi Maniparna, loved your categorisation. Did not know this earlier. Nice, informative post. Very informative post. Buying furniture online is hassle free. There are so many online companies that have come. But I miss the thrill of haggling and see the triumphant smile on my wives face when she tires down the seller to lower price. Their collections are pretty cool Maniparna. Till now I was only familiar with pepper fry but their products were bloody expensive. It is good to have competition and nice to see another company coming in. This way the products will become more cheaper and the companies more competitive. After reading your post, I feel it is fun to buy furniture online. Just sit at home, open tabs to compare, seek at your own luxury and get the delivery without stepping outside. What fun! Style, quality, comfort come together with Durian. Enjoyed reading the post Maniparna. Great points there. I usually keep my home minimal with very little amount of furniture’s. Most of them are used for drying clothes anyways. I was also serious on entrusting you the job if you were my neighbor. Buying Furniture is not easy and requires time, focus and a good taste. You have made great points!! Thank you so much for asking – doing well and busy for a concert in Europe! !